Pharmaceutical excipients are inactive substances in the drug which helps in modulating solubility, bioavailability and stability of active substances for formulating final drug dosage forms. The excipients form the major part of any medicinal product and proportion of it when compared to Active Pharmaceutical Agent (API) exceeds two to three fold in any pharmaceutical preparations. Hence, various characteristics such as functionality, regulatory status, sources, cost, consistency, bioavailability, physicochemical properties, stability, and pharmacokinetic parameters etc. play a major role in determining the suitability of a substance as an excipient. As estimated by IQ4I Research the pharmaceutical excipient global market is poised to grow at a mid-range single digit CAGR to reach $7,716 million by 2022. 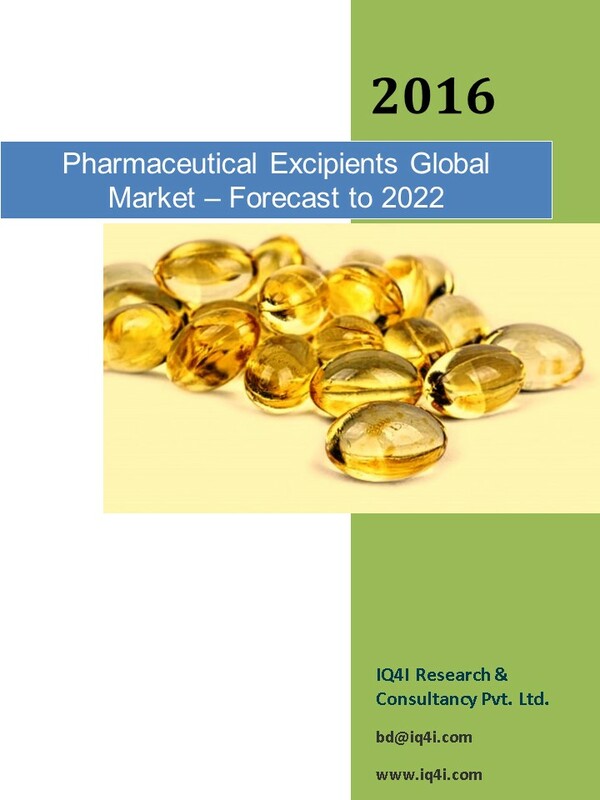 The pharmaceutical excipient market is segmented by source, products, process, functionality, drug dosage forms and finished products. In source excipients market, plant-based excipients held major share and are a fastest growing segment at a CAGR of 7.3%. By-products it is segmented into inorganic chemicals, organic chemicals and pharmaceutical water, among which organic chemicals holds major share and others segment is the fastest growing segment. Inorganic chemicals are further segmented into calcium salts, halites, metallic oxides, silicates and other inorganic chemicals, among which metallic oxides holds a major share of 44.0%. Organic chemicals are further divided into carbohydrates, petrochemicals, oleochemicals, proteins and other organic chemicals, among which carbohydrates holds major share. By process, it is segmented into granulation and direct compression methods. By functionality type, binder & adhesives hold a major share with a strong CAGR of 7.7% from 2015 to 2022. 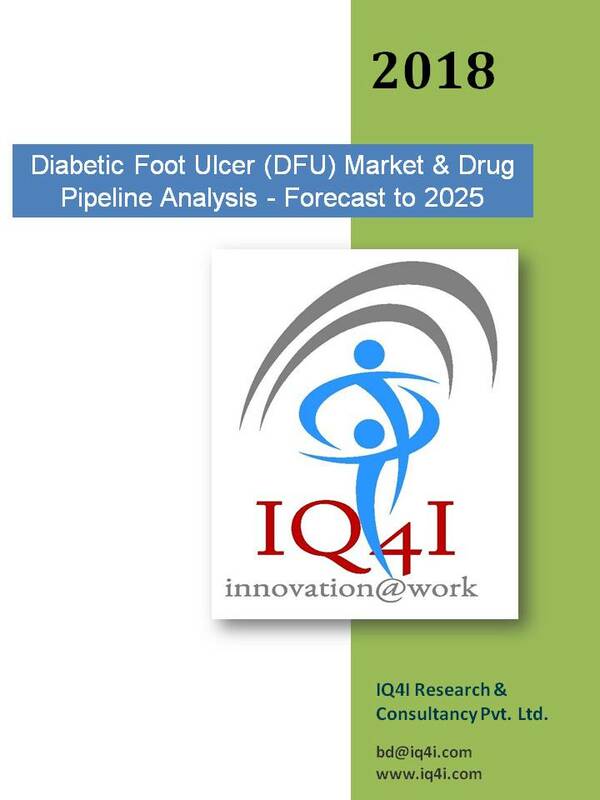 By dosage forms, it is segmented into oral, topical, parenteral and advanced, among which oral dosage forms holds major share and is the fastest growing segment. By finished products, it is segmented into prescription and Over-The-Counter (OTC) products. In finished products segment, prescription drugs held a major share with a strong CAGR of 6.5%. Geography segment is divided into North America, Europe, Asia-Pacific, rest of the world (ROW) where North America holds the largest share of 39.40% and Asia-Pacific is the fastest growing region from 2015 to 2022. Additionally, top selling pharmaceutical excipient lists are identified. North America holds the largest share in the pharmaceutical excipient market due to rising demand for pharmaceutical and biopharmaceutical drugs and presence of a large number of excipient manufacturers in this region. Europe holds second major share followed by Asia-Pacific and Rest of the World. Asia-Pacific is the fastest growing region where emerging countries such as China and India are the major players due to low labour costs, increased outsourcing of inorganic & organic chemicals manufacturing and increasing governmental spending on health care. The pharmaceutical excipient global market is a highly competitive market hence all the existing players in this market are involved in developing new and advanced therapeutics to maintain their market shares. Some of the key players contributing at global level for pharmaceutical excipient market growth are Ashland Inc. (U.S.), Associated British Foods Plc (U.K.), Avantor Performance Materials, Inc. (U.S.), BASF SE (Germany), Croda International Plc (U.K.), Dow Chemical Company (U.S.), Evonik Industries AG (Germany), FMC Corporation (U.S.), Lubrizol Corporation (U.S.) and Roquette (France). 1 ADORE PHARMACEUTICALS PVT. LTD.
53 MINGTAI CHEMICAL CO. LTD.
64 QINGHAI GELATIN CO. LTD.